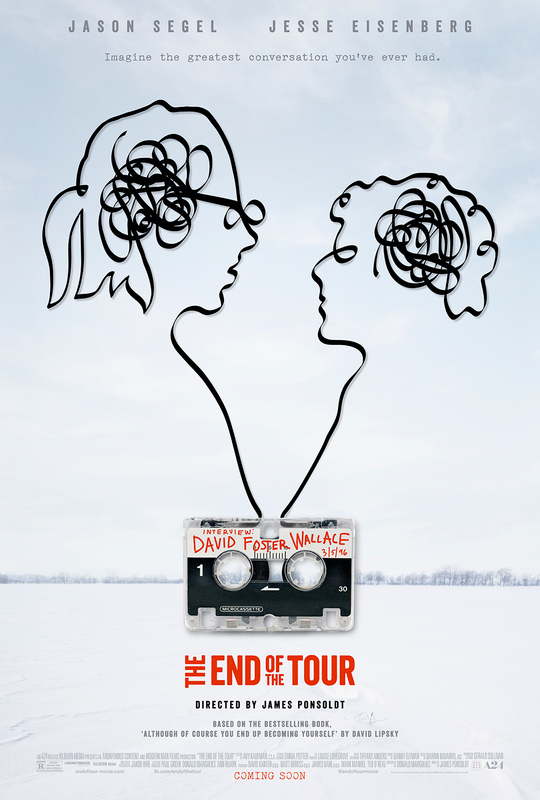 Based on David Lipsky’s best-selling memoir, this drama stars Jesse Eisenberg as writer David Lipsky and Jason Segel as author David Foster Wallace. The film explores Lipsky’s several days spent with Wallace in the wake of his newfound critical success following the publication of Infinite Jest. Jason Segel received nominations for Best Actor from the Chicago Film Critics Association, the Seattle International Film Festival, and the Independent Spirit Awards. Donald Margulies received a nomination for Best Screenplay from the Independent Spirit Awards. The one-sheet won Best Independent Poster at the 2016 Golden Trailer Awards.